This Christmas, get ready for a rate hike. 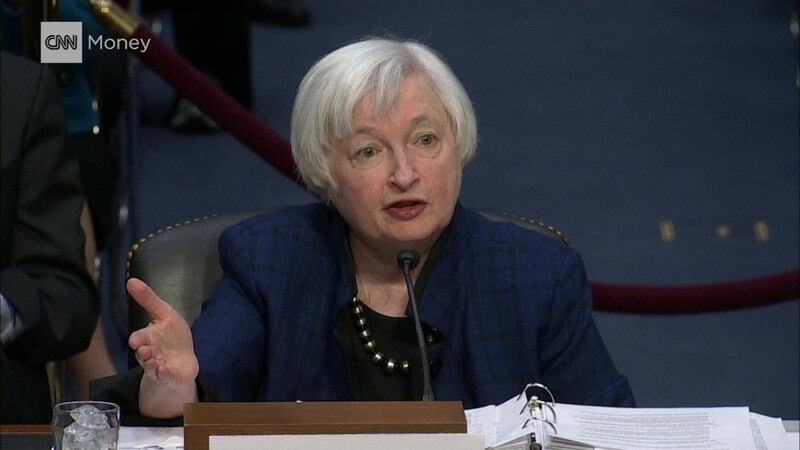 Federal Reserve Chair Janet Yellen said Thursday that the Fed could raise interest rates "relatively soon." The Fed last raised its key interest rate in December 2015 for the first time in a nearly decade. "The case for an increase in the target range had continued to strengthen," Yellen said, while testifying before a joint Congressional committee on the state of the U.S. economy. It was Yellen's first public comments since the election of Donald Trump, a big critic of Yellen. Trump has lambasted Yellen, saying she should be "ashamed of herself." He claims Yellen is creating a "false economy" by keeping interest rates very low. However, that might soon change. Trump's big spending plans could actually force the Fed to raise rates more, some economists say. During questioning, Yellen affirmed Thursday that she plans to remain as Fed Chair until her term expires in early 2018. "I was confirmed by the Senate to a four-year term, which ends at the end of January of 2018, and it is fully my intention to serve out that term," Yellen told Congress. She argued that the Fed's independence from politics is critical for the economy's health. Yellen also said the Dodd-Frank Act should not be repealed because she believes it's made the financial system sounder. Trump wants to "dismantle" Dodd-Frank. The Fed's next meeting is scheduled for December 13-14. The central bank is widely expected to hike rates -- a signal that the U.S. economy is getting healthier and can withstand higher borrowing costs. In her remarks, Yellen noted that the job market maintained some momentum this year, wage growth is starting to pick and inflation is moving in the right direction, albeit slowly. Meager wage growth is a major reason why many Americans still feel left out of the economy's recovery from the Great Depression. Overall, economic growth also picked up to nearly 3% in the third quarter after averaging a mere 1% in the first half of the year. It's an important meeting for the Fed's credibility, which has come under attack by Wall Street investors. Fed officials estimated at the beginning of 2016 that they would raise rates four times. But after a slew of setbacks, such as volatile stock markets and low oil prices, the Fed dialed down its plans during the year. Now investors, and even some Fed officials, say it's time to raise rates again. Wall Street is ready for another rate hike: investors bet there's an 85% chance of a rate increase in December, according to CME Group.